If you’re like me, you’re the sort of professional that gets great satisfaction from discovering something new that turns an everyday nuisance or overly complicated task into something far easier and less time consuming. The great thing about living and working in 2018 is that these tasks are equally faced by other people everyday, and as a result, some very clever businesses have created apps and software that tackles these tasks head on. In this blog, we take a look at 3 software tools that we implemented within our business over the last year that have transformed not only our business, but our clients’ too. AutoEntry is an automation tool, accurately capturing data on company receipts and invoices using OCR (Optical Character Recognition) technology. Using artificial intelligence, data from these items can be extracted by taking a photo using the mobile app or scanned individually, removing the risk of human error. 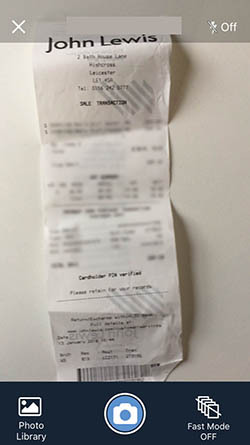 You may be more familiar with its rival, Receipt Bank. Like Receipt Bank, AutoEntry integrates with the cloud accounting software of your choice, including popular platforms Xero, Quickbooks, Sage One, Freeagent and Kashflow. AutoEntry mobile app. 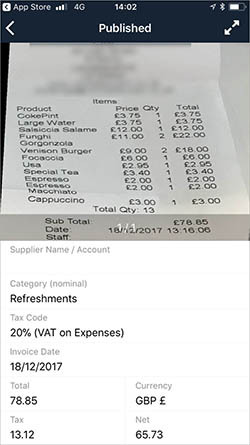 Simply take a picture of your receipt or invoice. Data is linked to your accounting software and any duplications are rejected. The main notable difference between the two is the costs to use AutoEntry are based per item using “credits”, whereas Receipt Bank’s price plans are based on the number of items processed each month with different thresholds. One of the great things about AutoEntry’s pricing plans, is any unused credits automatically roll over and are not wasted, providing a more flexible solution depending on the data demands of your business from one month to the next. As accountants, AutoEntry as you can imagine is a key part of our business and the service we deliver to our clients. 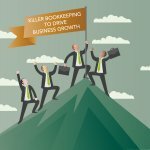 In the last few months alone, we have uploaded over 12,000 receipts and invoices, saving a huge amount of time in the process and costs to our business – savings we can pass onto our clients. 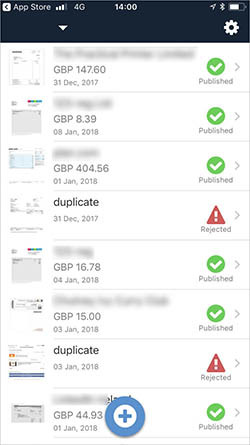 As you can imagine, if data from receipts and invoices were inserted manually, the chances for some errors happening with 12,000 items is high. These small errors can have a huge knock on effect. If data is incorrect when a management accountant or financial accountant starts to put together their reports, the information is worthless. Using AutoEntry is not only more accurate, but it’s far more cost effective too. Smart businesses use analytics and metrics to make informed business decisions. Fathom should be another tool to add to your arsenal of analytical tools – our clients absolutely love it. Fathom is a management reporting and financial analysis tool which helps business owners and stakeholders to make sense of business data in order to identify areas to improve business performance. It seamlessly integrates with either Xero or Quickbooks, or you can import data via Excel spreadsheets. One of things we really like about Fathom is the ability for financial information and non-financial results to sit side-by-side. You might want to find out the number of customer visits to your store or the average spend per customer. Whatever are the most important KPIs for your business, it’s all trackable with Fathom. The reason our clients really appreciate this side to Fathom, is it provides deeper insights in their business – information you can’t just get out of an accounting system. 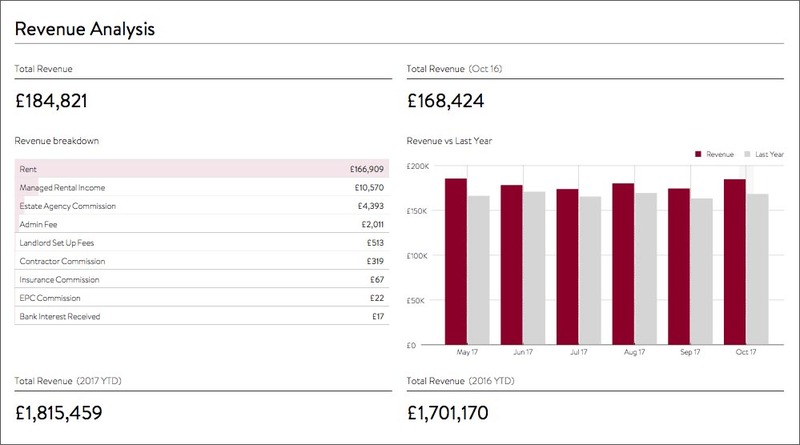 However, in the same management report, your business’ profitability, cash flow and trend analysis is all at hand too in a beautiful, engaging and easily understandable format. 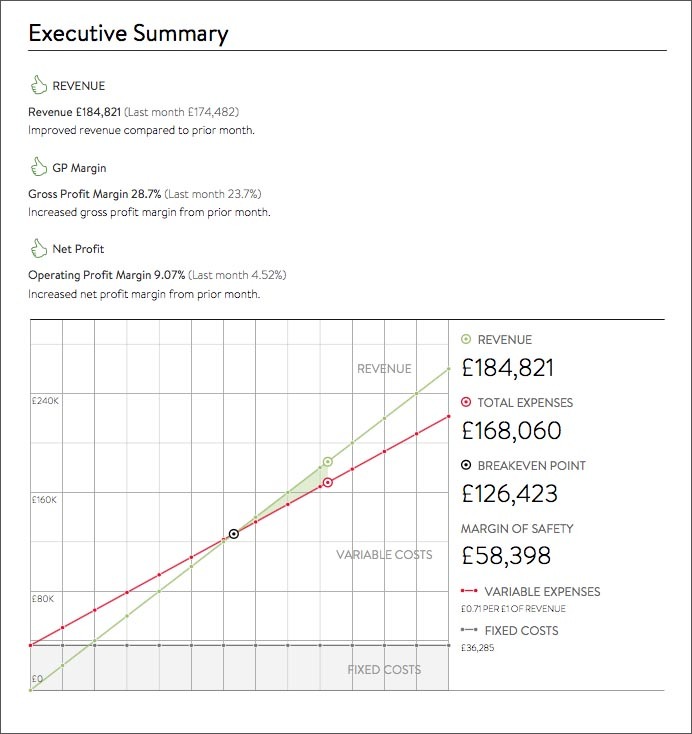 A sample report from Fathom showing revenue analysis for a fictional letting agent. 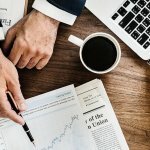 Fathom monthly summary management information. As well as creating your own KPIs, Fathom can be used to create bespoke benchmarks. We use this part of Fathom for a franchise group to compare franchisees, identifying under and over performers, strengths and weaknesses in relation to one another. Fathom is a great piece of kit for franchises or companies looking to group related companies together and create consolidated reports. Terry Pratchett once said, “If you do not know where you come from, then you don’t know where you are, and if you don’t know where you are, then you don’t know where you’re going. And if you don’t know where you’re going, you’re probably going wrong.” Fathom helps you to understand your past, where you are as a business, where you want to go – and stop you from making wrong decisions. Managing staff in a business, rotas, shifts, sickness and holiday in the past has typically meant completing a paper form to be signed off by a manager, emails being thrown back and forth and a lot of unnecessary bother in the process. 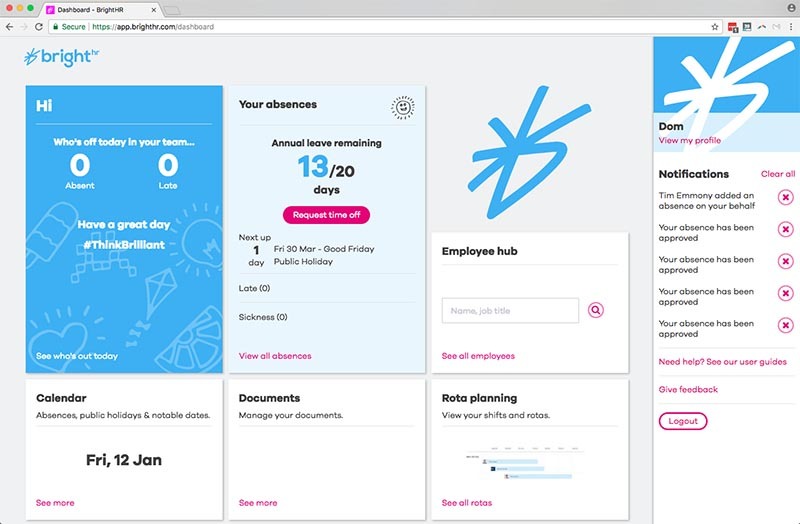 BrightHR helps businesses manage their staff in a more productive way, a one stop hub to organise, monitor and manage your company’s employee records. All data is stored securely in the cloud and can be accessed on the go using their mobile app. It’s an extremely intuitive piece of software for our directors and staff to navigate. You can approve holidays for staff at the click of a button and it will flag any annual leave that conflicts with another member of staff. With a paper-based solution in a busy office environment and a growing team, the issue can sometimes be putting time aside time to plan work and life. Being paperless, BrightHR is a good fit for us and is aligned with our core values. Bright HR is part of the Peninsula Group and as an additional service through a telephone helpline, your business can access employment law professionals should you encounter any employment issues. Equally, employees can access through the mobile app their Employee Assistance Programme as a measure to improve staff well-being and reduce absenteeism.